Lillibets is located in Castara, a small fishing village on the west coast of Tobago, about 12 miles (19Km) from the airport and Scarborough, Tobago's Capital. These holiday apartments have been purpose built to a very high standard, are situated in an elevated position and offer some of the finest views over Castara Bay. 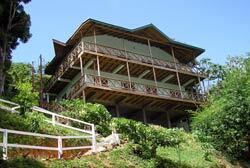 Castara Bay offers two sandy beaches fringed with palms and backed by lush forested hills. 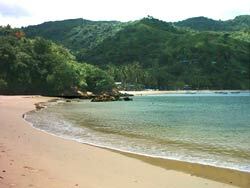 The larger of the two beaches offers a full range of facilities and is patrolled, in season. 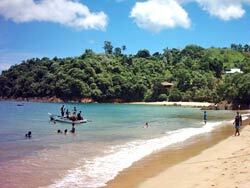 The smaller beach offers seclusion peace and good snorkelling. Lillibets is 35m from this beach. Castara is a small fishing village and the local cafes and restaurants specialise in seafood dishes. Fishing trips are available and can be arranged locally. There is some superb walking in the hills behind the village and guided walks can also be arranged. For the convenience of our guests, we even supply affordable vehicles from our own self-drive car and jeep rental service.